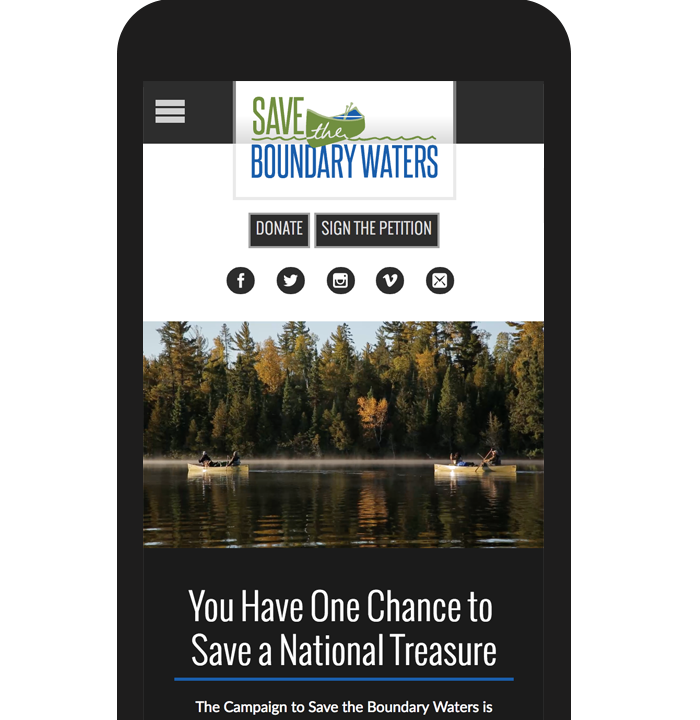 Save the Boundary Waters is an important effort to prevent dangerous sulfide mining within the watershed of the Boundary Waters. The site urges people to action. To help explain the threat, we created a scrolling map interactive that brings the issue to life. 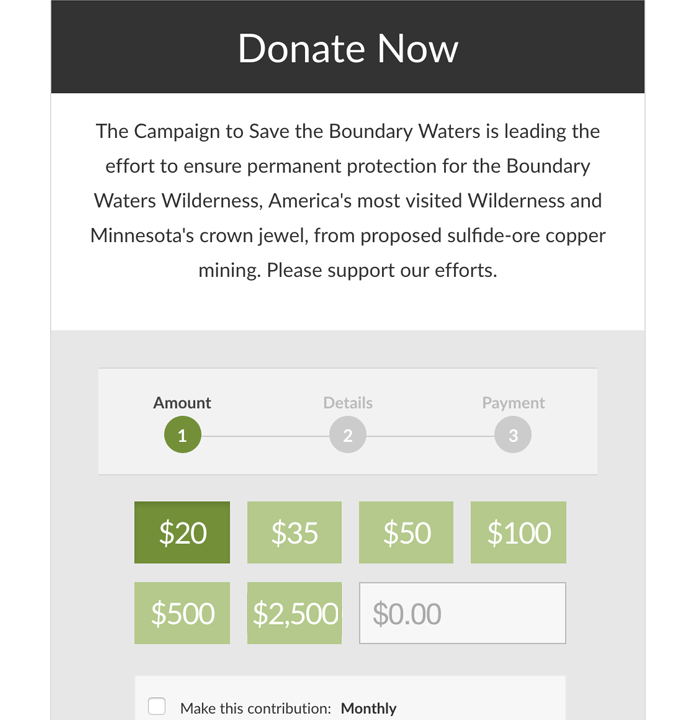 We also seamlessly integrated many modern advocacy and sharing tools (petitions, donations, newsletters and volunteering). 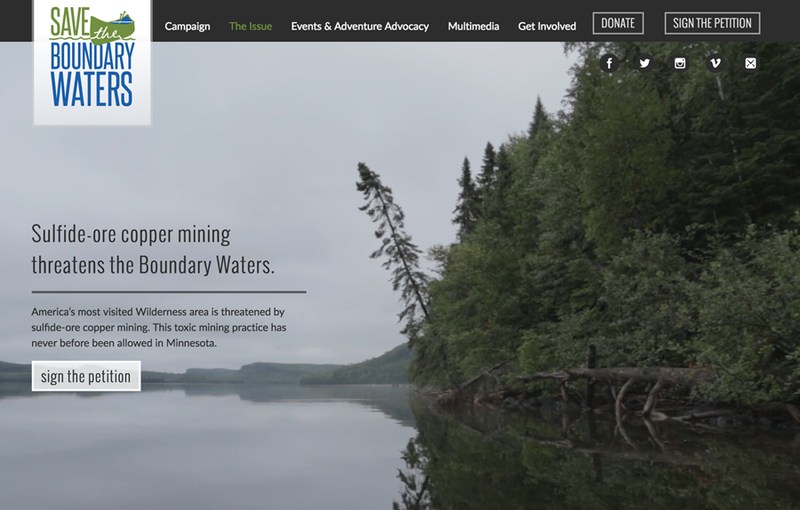 The campaign has been extremely successful, garnering a nationwide response and mobilizing multiple avenues to halt mining leases. We have an ongoing relationship with both the campaign and are constantly re-assessing the best way to reach supporters for various efforts.